The man in your life might not be able to play for the Oklahoma City Thunder, but he could smell like it. 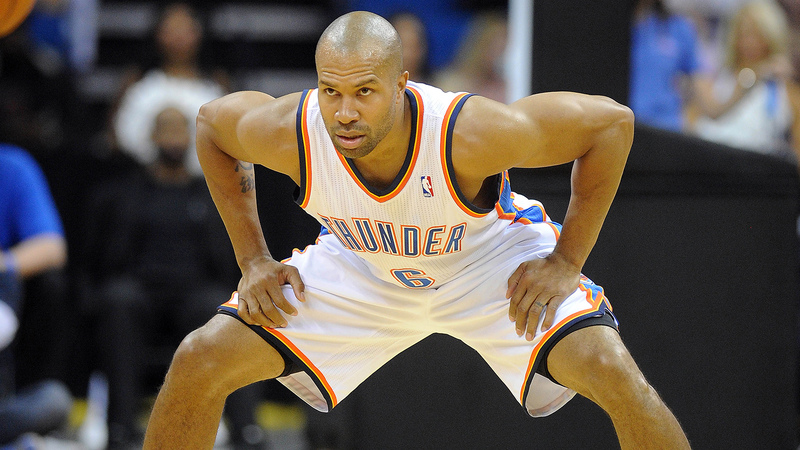 Not everyone can shoot like Kevin Durant or dribble-drive like Russell Westbrook, but these days they are all smelling like Derek Fisher. The NBA veteran and the oldest Thunder player is the most popular after games as Durant, Kendrick Perkins and others often times into Fisher’s locker and grab a spritz of spray. The scent? Tom Ford and you don’t have to earn an NBA paycheck to wear it. So, if you’re looking for a last-second Christmas gift, according to sephora.com, you too can smell like a 37 year-old NBA guard for just $72. And how does an NBA guard smell? Ford is described as having traditional elements with modern influences. "Like a second skin, the fragrance is sensual, refined and luxurious. It opens with the crisp citrus aroma, which carries into a bright and fretting mix of ginger, grapefruit and deep greens. The scent turns robust, before mellowing into a rich and masculine base of amber and leatherwood."